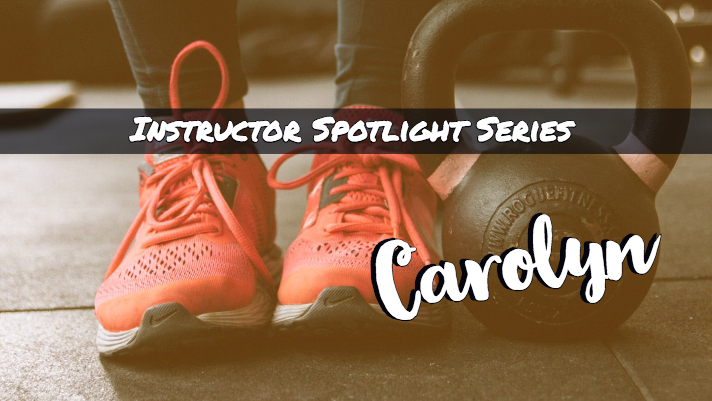 It is time for another group fitness instructor spotlight! Today I get the joy of introducing Carolyn to you. 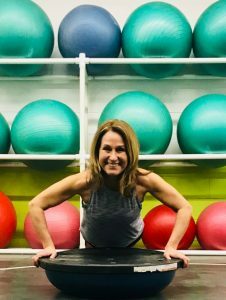 Carolyn is a personal trainer and a group fitness instructor here at Apex. She comes with a wealth of knowledge and experience she has gained from working in the fitness industry for over ten years. We love having her here and we can’t wait for you to meet her! I have two grown sons and two grandsons which have become my hobby. You can’t take care of others if you do not take care of yourself. Being around people who don’t live a healthy lifestyle. “Talk the talk, walk the walk.” This was said to me years ago bu a former client. She said it was what inspired her about me. I find inspiration from my fellow trainers, instructors, and clients. Not at Apex (so far), but people having private conversations during a class. I’ve been training with Carolyn and have to say she gears each session with ME and my goals in mind. She is always prepared with notes for our session and helps by motivating me when I’m ready to quit. We laugh and have fun through it all. She is awesome.